Featuring website directories for marketers and webmasters. 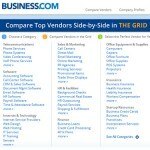 Business search engine and directory; offers business guides, price comparison tools, whitepapers and more. Centre For Innovation and Business Development Directory (CIDEM) is a well maintained human edited directory for businesses wanting a global reach. Their clean and user friendly interface ensures that readers will be able to find your business listing and visit your website. Business directory using an easy directory script that enables you to post business directory listings. 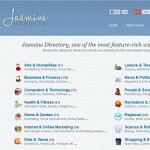 Professionally designed website directory scripts makes this business directory easy to use. International website directory to find business and general websites from every country in the world. Directory is available in English, Spanish, Russian, Chinese, Gujarati, Japanese, Portuguese, Thai, French, and more. Online purchasing resource for businesses of all sizes. Listing costs $299 for a one year period. Business Directories: Are they worth your time and money? Paid Web Directories vs Paid Links: Are They the Same Thing? Are Your SEO Efforts Naughty or Nice? © Copyright 2006-2014 Web Directory List. All Rights Reserved.